All-new David Brown Automotive has announced the outline specifications of its first car. 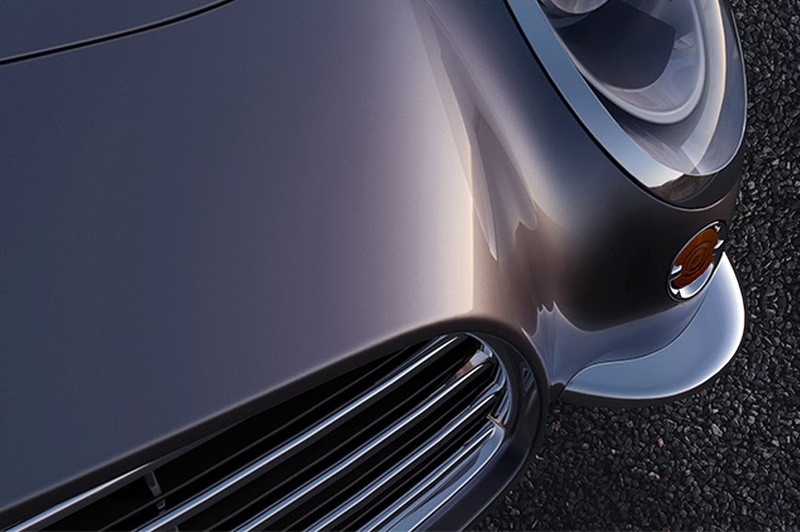 Underneath its bespoke exterior design, is the acclaimed chassis and powertrain of the Jaguar XKR, optimised specifically for the car by Envisage group engineers. boast a thoroughly modern 5.0-litre Supercharged V8 engine, driving the rear wheels via a 6-speed automatic transmission. Performance will be suitably brisk, yet refined, delivering 0-60mph in 4.6 seconds and a top speed exceeding 155mph (248 km/h). "As reliability is vital, we chose to adopt a thoroughly proven and acclaimed chassis that not only delivers dynamic performance but also lends itself to our light-weight aluminium design. Renown for its performance and handling, the XKR has been extensively developed and refined by one of the world's greatest car manufacturers, making it an obvious choice on which to base our car," said David. "I wanted all the impact and style of a classic sports car, but with modern capabilities and conveniences. This is what I want in a car, but it's not something anyone really offers. So, I've created it myself," added David. 'Project Judi' will be revealed to the public at the Top Marques Show in Monaco on April 17, 2014.